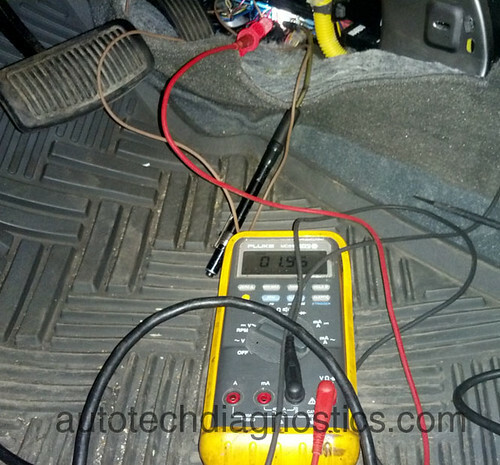 The vehicle had fault code P0451 for EVAP. EMISSION SYSTEM PRESSURE SENSOR RANGE / PERFORMANCE. The evaporative emission control system prevents hydrocarbon vapors from escaping from the fuel tank into the atmosphere where they could form photochemical smog. Gasoline vapors are collected in the charcoal canister. 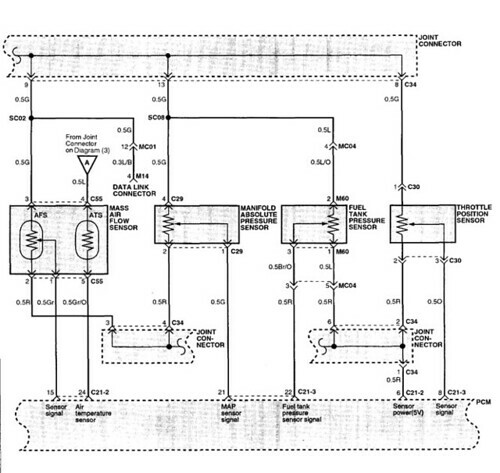 The Fuel Tank Pressure Sensor (FTP) is an integral part of the evaporative monitoring system. The PCM monitors the FTPS signal to detect vacuum decay and excess vacuum. 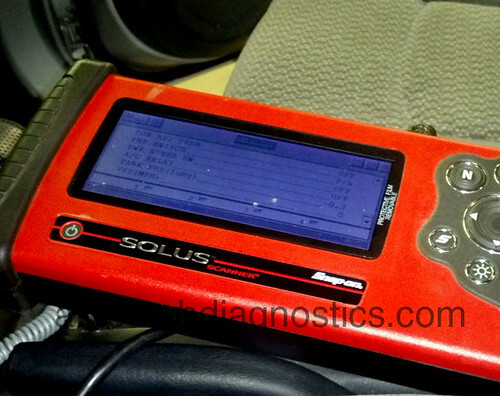 The FTP sensor measures the difference between the air pressure inside the fuel tank and outside air pressure to check the purge control solenoid valve operation and for leak detection in the evaporative emission control system by monitoring pressure and vacuum levels in the fuel tank during the purge control solenoid valve operating cycles. 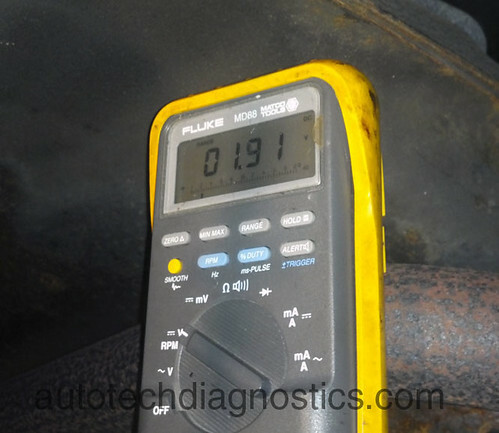 If the oscillation of fuel tank pressure’s signal is out of the threshold value, the PCM determines that a fault exists and a DTC is stored. 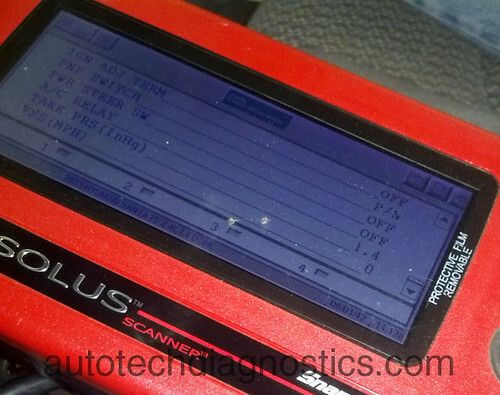 When I arrived the vehicle ECM memory had been cleared and no fault codes were present. The FTP data PID was reading -0.3 inHg. I opened fuel filler cap. Doing so should neutralize the FTP reading and the PID should display the equivalency of atmospheric pressure. With the cap off, the reading remained at -0.3 inHg. This told me there could have been a blockage or a short. I raised vehicle and located FTP sensor. It was behind rear of fuel tank. I back-probed the 3 wire connector and using the factory wiring diagram to determine voltages recorded my readings. Before I go over my readings, let’s review the wiring and note what to expect. Pin 2: Sensor ground – Must be lower than 0.5 volts, expect around 0.1. 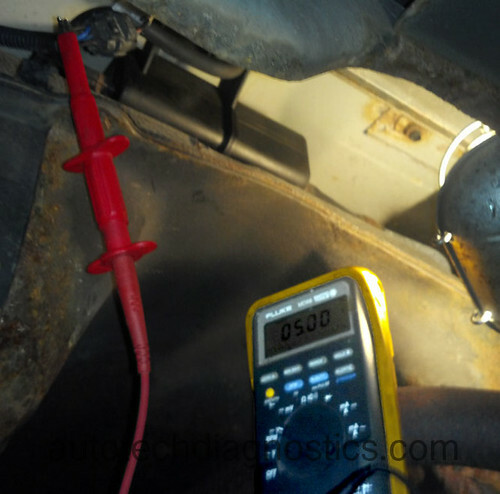 Pin 3: Sensor signal – between 0.5 – 4.5 volts, fluctuates in relation to fuel tank pressure. Pin 2: Sensor ground – 0.01. Pin 3: Sensor signal – 1.9 volts. 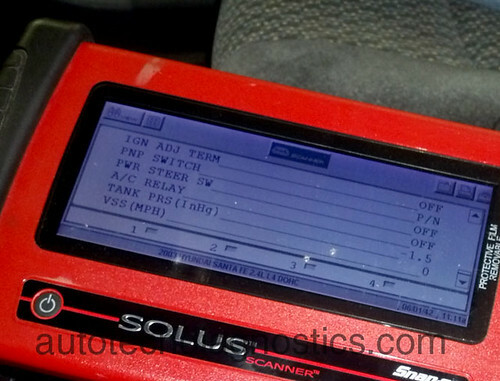 The FTP sensor was reading a steady voltage as the scan tool data stream displayed. Next I gained access to the engine control module (ECM) and back-probed FTP sensor wire. Seeing the sensor reading was the same, I found a 5 volt source voltage and jumped it to the FTP sensor pin on the ECM. 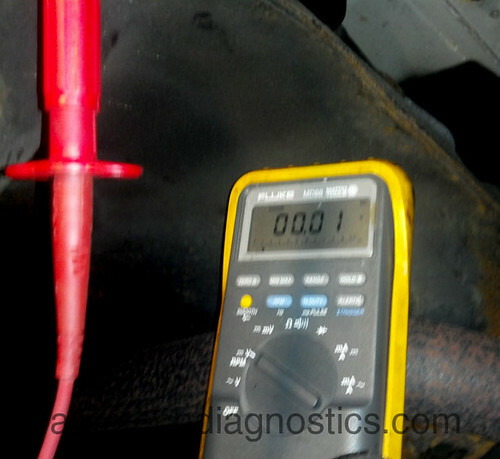 Voltage remained at 1.9 volts. This told me the wire was shorted. Next I cut the FTP sensor signal wire into the ECM. The FTP data PID was now reading -1.5 inHg. This told me there was in fact a short in the FTP sensor wire. I ran a new wire and the problem was fixed. I generally do not hunt down the faulty wire as it is quicker to run a new wire. I have built a race car from at 2003 elantra 2.0L. I have to run a smaller fuel tank inside the car and don’t need the charcoal canister or anything. Ever since I’ve done this the car has ran poorly and I have a FTP sensor DTC. 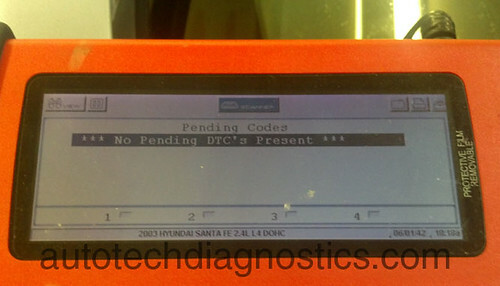 Could this code be making the car run so bad? Could I put a resistor in place of the sensor to correct this? What voltage should I try and let through in place of the sensor? This will not reduce the drivability of the engine. You can try plugging the sensor in and leaving the hose disconnected.or try a voltage amount of 2.5 volts. I would look alsewhere for you drivability problem.